About 40km away from Tam Ky (Tam Kỳ) city, in Nui Thanh (Núi Thành) district, Quang Nam (Quảng Nam) province, Vietnam (Việt Nam), Tam Hai (Tam Hải) island is surrounded by the sea all year round so people here always enjoy a peaceful life. Tam Hai island is separated from the outside world by the poetic Truong Giang (Trường Giang) river. If you want to visit this island, you could go by motorboat from Tam Tien (Tam Tiến) to the north and along Highway 1 before turning towards the sea about 10km through a ferry in Ky Ha (Kỳ Hà) estuary. Because of inconvenient way, it is hard to develop tourism despite of its huge potential. The cultural life here has been handled down through generations. Hospitality, friendliness and enthusiasm is always available in the daily life of local people here which make a lot of tourists stopped and did not forget. Tam Hai island is considered as a precious gem hidden in the crust which has not been castigated carefully. However, maybe due to this, the wild beauty of this island attracts a lot of people who love to explore and enjoy new sensations. Islanders live gently and peacefully under the green palm trees silhouetted vast water. Tam Hai commune is special because one side is in front of the sea and the others are in front of the river. People here mainly rely on the sea with typical culture of the sea. At the beach, there are big and small basket boats moored which adorn the blue water more lively. With those people who want to experience and discover new lands, when visiting Tam Hai, it is recommended to visit Ban Than (Bàn Than) rapids, about 1km in length covering around a small mountain created by sparkling black stone tables. Over time, with the intrusion of sea waves, Ban Than rapids formed bizarre burrows looking like sculptured stone works, bringing excitement to every stopover travelers. 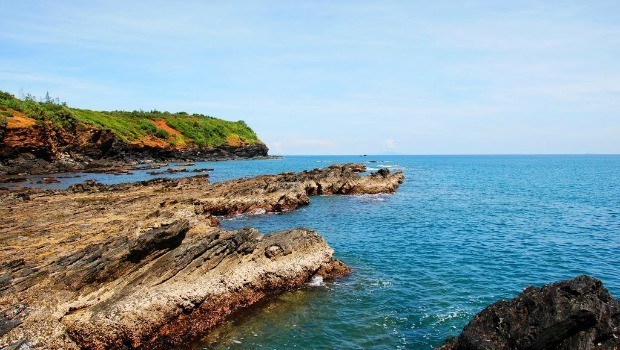 From the reefs looking afar, there are small islands, which are very ideal with strange-shaped coral reefs, such as Mang islet, Dua (Dứa) islet, and Da Chim (Đá Chìm) islet. A day in Tam Hai can start with sunrise watching and preparing the supplies to go fishing by boats with local fishermen. The boats will take you a few nautical miles offshore and anchored among the vast sea waves. Going to Tam Hai Island, tourists could listen to the amazing sound of the waves; feel cool breezes that bring the sea salt infiltrating each fiber. Maybe, what makes tourists visiting Tam Hai remember the most is the affection of local people for each other. They help each other like a family. Here, thieving does not seem to happen. Warm locals will surely invite you to enjoy special coconut water that nowhere has. Fresh coconut water here tastes refreshing, slightly fizzy and pangolin when drinking. Another interesting thing about this island is that girls and women on the island are very beautiful. Women in Tam Hai Island are famous for not only their beauty but also their great gentleness. 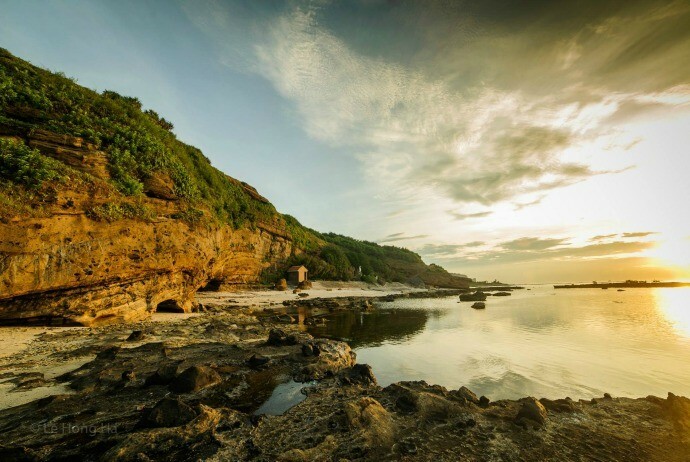 If Cu Lao Cham has long been a tourist destination that many tourists choose to visit, then Tam Hai Island is a peaceful place that just few places have. Nature has endowed the island smooth sandy beaches, sparkling in the sunshine, and sceneries which overwhelm those first-time visitors. After having hard working days, perhaps Tam Hai Island is an attractive destination allowing you to have relaxing moments, relax under the sun and forget all the chaos and worries of the daily life.